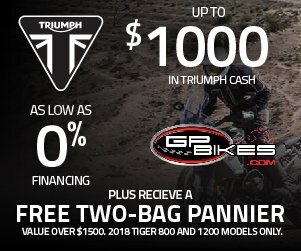 If you have any experience with the Triumph Street Triple, you’ll know that since it came to market in 2007. 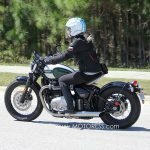 Now ten years later, it has continued to be a popular model in the Triumph line while continuing to evolve technically. 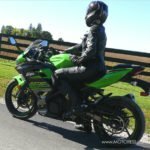 It’s a fun, easily manoeuvred and “go-getting” performance ride that with the 2017 enhancements, make it a naked sport bike package that’s hard to beat. The new 2018 Triumph Street Triple RS has maintained its naked sport bike style and light-weight ease of handling. It’s even lighter than the former edition – about 2 kg (4.5 lbs). Accented with, as I observed, a more aggressively styled design. It’s designed with a more “nose-down” stance; short “gull-wing” rear swing arm; higher-spec suspension and brakes; and a wide “Thin Film Transistor” (TFT: type of LCD flat-panel display screen, in which each pixel is controlled by from one to four transistors.) instrument panel. I’ve always like the Triumph Street Triple’s contemporary and aggressive lines and the 2018’s new bodywork and sportier twin seat continue to accent this. With the Triumph Street Triple ability and modern technology Triumph Motorcycles has really made this RS model an astonishing and fabulous ride! 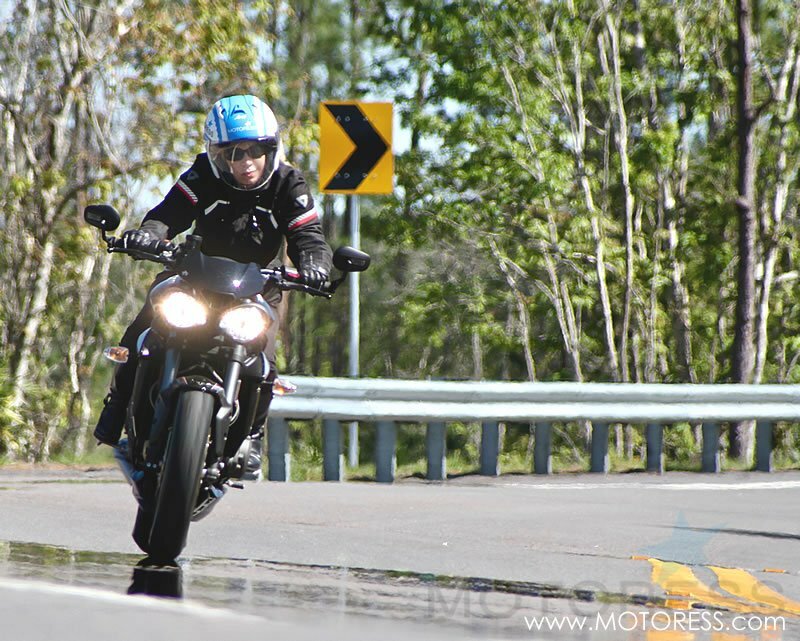 One of my favourite experiences on an earlier model Triumph Street Triple was when taking it on a nine-day tour entirely around Lake Superior’s coast. 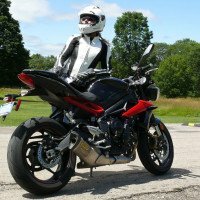 This was the Street Triple R. The bike was comfortable for long distance but offered up power when I wanted to take it through the curvy roads encountered. I’ve always enjoyed the potential combo the Street Triple offers. Though I didn’t get the same amount of hours in on the new Street Triple RS yet it didn’t take me long to figure out that this was indeed another model I’d jump at the chance to own. Why? Triumph have really bumped up the Street Triple line with the addition of the RS, a model focused on a true transition from road to track and back again. Sharper styling, added agility and an intuitive performance offers one of the highest level of specifications I’ve seen yet in the Street Triple line. I think the big difference is in the engine department is a bump in displacement from 675cc to 765cc. 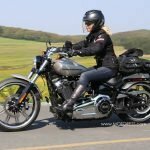 Its customizable electronics complement is the real game-changer regarding what’s expected from a middle-weight naked motorcycle. 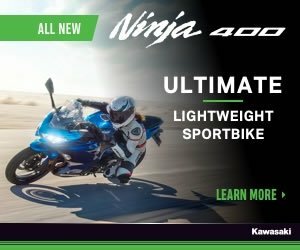 There are five riding modes available – Road, Rain, Sport, Track, and “Rider,” which is programmable to your favourite settings and selectable from the menu. 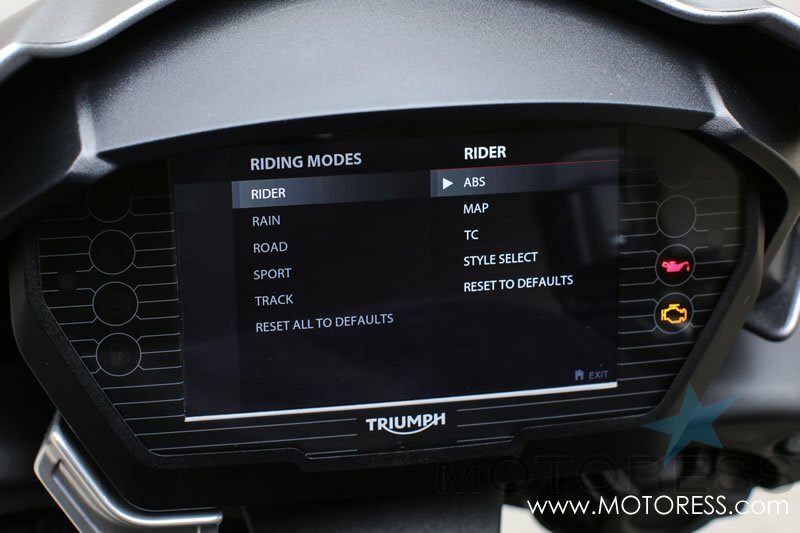 Modes set different limitations for throttle map (Road, Rain, or Sport), Continental ABS (Road or Track), and Triumph Traction Control (Road, Rain, Sport, or Track). So yes, individualized. And you have control of the options; the ABS and traction control can be switched off, right from the dashboard. 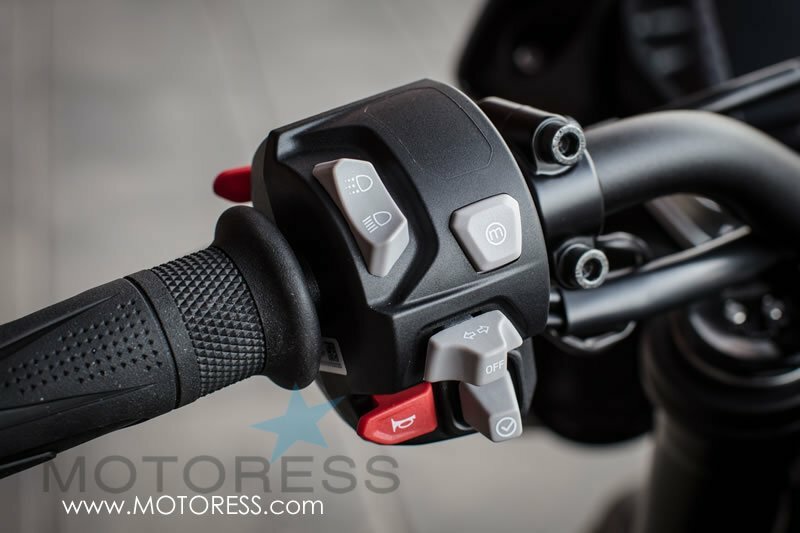 A mode button at the top allows the rider to cycle through the 2017 Street Triple’s ride modes on the go; while the little five-way joystick at the bottom navigates all of the menus. A brilliant system. Lighter than the previous generation, and still the lightest bike in its class. Crisp but smooth throttle response; fast! (121 hp). A little taller than I recall yet for an experienced rider, not an issue. State of the art rider-focused technology, including five ride modes and new full colour 5” angle adjustable TFT instruments. Features an all-new switch cubes with 5-way joystick control. Switchable ABS: road, track or off. Traction Control: Road, Rain, Track, Sport or Off. 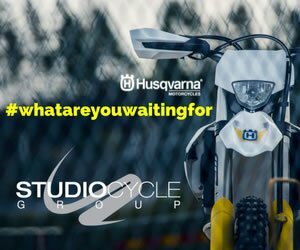 Suspension: fully adjustable 41mm Showa “big piston” forks; Öhlins STX40 fully adjustable rear monoshock. New LED Headlights making you easier to be seen by other road uses. 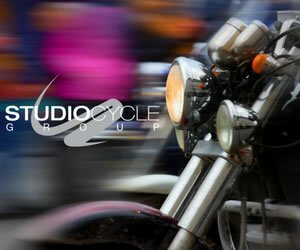 ABS is switchable within rider programmable riding mode – road, track or off. Switchable Traction Control -this will maximise your safety and control for the RS, road, rain, and track. You can also turn it off and I like having this option. 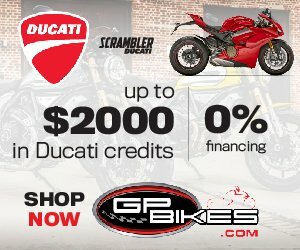 Quickshifter and lap timer; Quickshifter meaning faster up-shifts as much as 2.5 times faster. Comes with Pirelli’s Diablo Super Corsa SP tires that work well on street and on track. 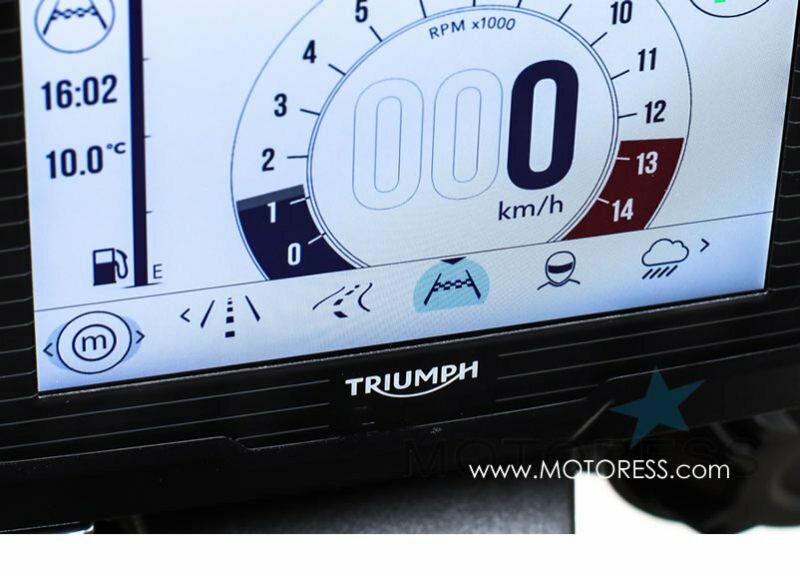 Triumph Street Triple RS Dashboard – Wow! The dashboard is superbly high-tech and comes in different “looks”; is easily controlled from the handlebars. 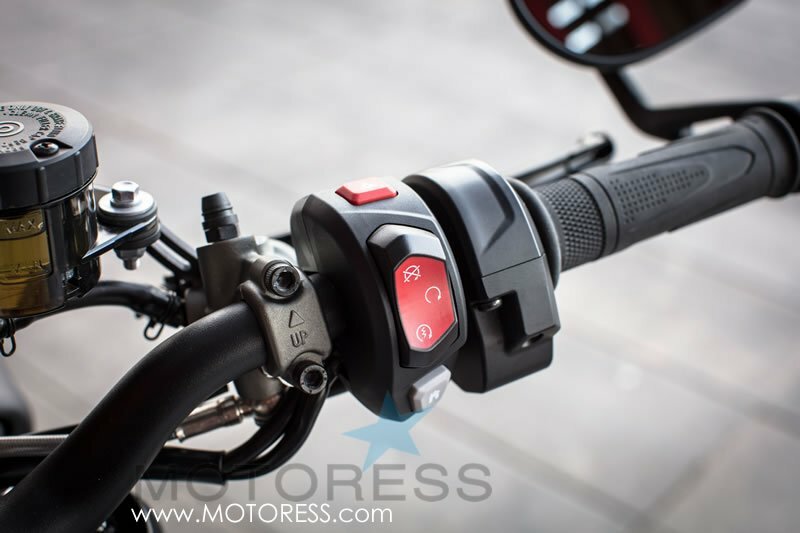 Left Side Handlebar Controls – Easy Access! 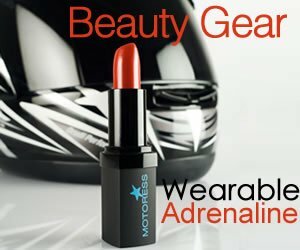 Home button to access/exit main menu when bike is stationary/in neutral. 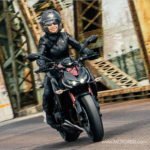 Who is the Triumph Street Triple RS For? Want a combo road and track bike. 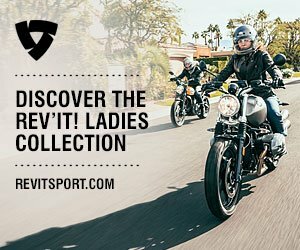 Want the latest in Daytona derived triple engine. 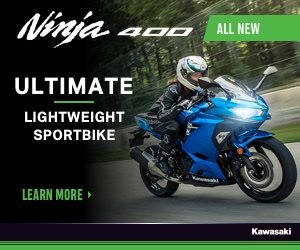 For an advanced rider or as the second/ next bike for someone who’s not been riding all that long. 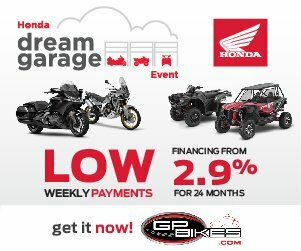 The levels of agility, overall friendliness and an astounding electronics package are sure to make this a great motorcycle for any rider. Just within a few minutes of riding the Triumph Street Triple RS confirmed that this is more of a track-derived sport bike but without the fairings. Driven by an all-new 765 cc triple engine, its performance, visual improvements and an additional 90 cc of displacement make it in my view, the best and most exciting Street Triple in the model’s history. Triumph’s goals with the Street Triple RS aimed to offer a motorcycle that’s got power, performance – when all the while being light-weight to enjoy ease of handling. They wanted to ensure there’s that styling attitude that gives it a street fighter design. It’s obvious all goals have been met! The Triumph Street Triple RS positively is a bike to own and enjoy! Manufacturer list price is CAD14,000. – USD12,500. Great value and price. 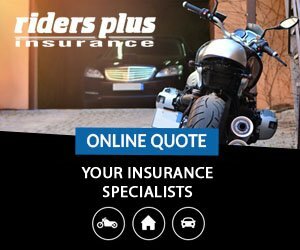 Visit Triumph Motorcycles for full details and/or to compare the Triumph Street Triple S, R, and RS fully.